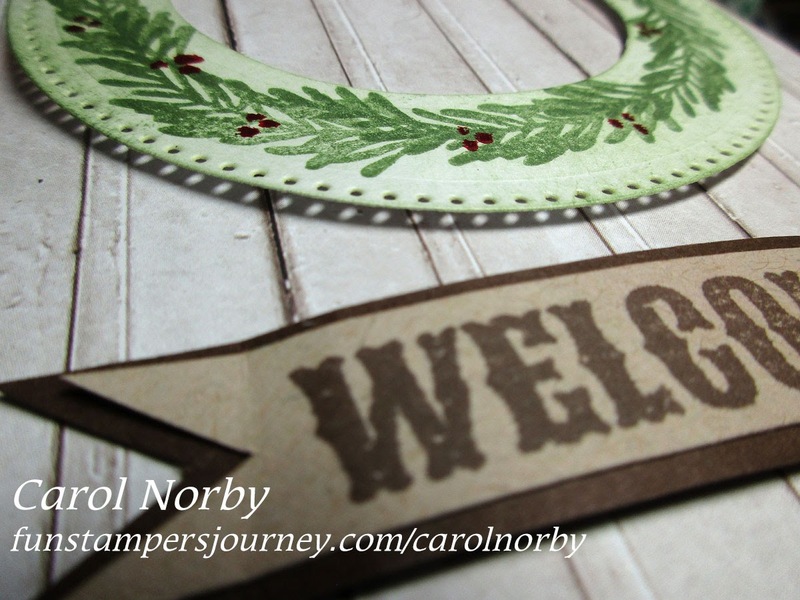 Welcome to the Journey Holidays Blog Hop! I’m so happy to have you hoppin along! If you have arrived from Heather's blog, you’re on the right track! If Not, that’s ok too! Just continue the hop and you will come full circle! 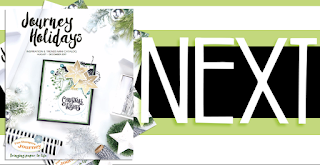 Christmas will be here sooner than you think and I'm making sure I have enough cards to send to family and friends. I've made 2 cards to share, one rather easy and the other a bit more complicated. I'll start with the easy card. 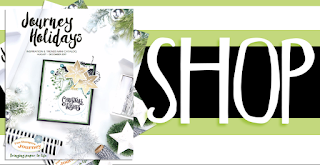 This scenic card uses simple masking to make the snow-covered ground. I started with a layer of Whip Cream card stock and a piece of scrap paper cut into curves. 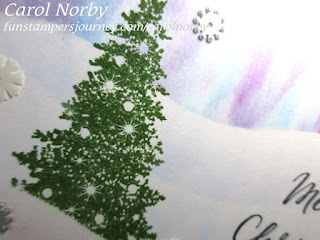 I used my small Dauber Dowel and a few different PanPastels from the Confectionary Days and Party Pop collections to make the snow shadows and a bit of Northern Lights. Keeping the mask in place on the bottom curve I stamped the small tree from our Sparkle Trim Bundle (though I didn't need the coordinating dies at this time) using Fresh Forest ink (currently on sale!!!!). What I like about the PanPastels is you can erase boo-boos (you can see I should have right under my name as the Northern Lights come down into the snow) or create highlight and more but just erasing where you need. I stamped the text over another boo-boo using Black Licorice ink and added snowflakes from our Holiday Elements sequins. 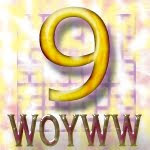 I layered this on a folded card base of Lavender Fusion card stock. I used only 1 stamp set, the Welcome Wreaths. This was a Bloom Box way back when and is still available! I made a circle using our Journey Circle dies with piercing elements then stamped the pine bough using Fresh Forest ink (see above for link). 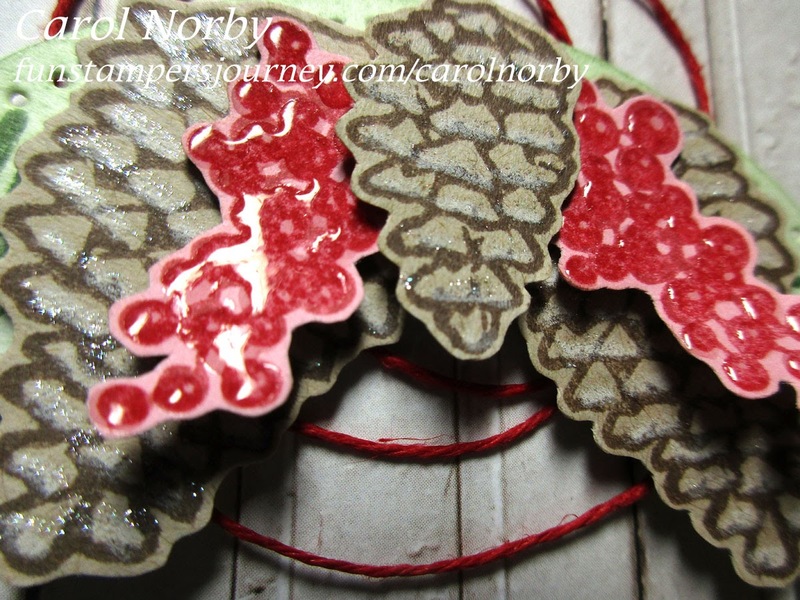 I sponged the ink lightly so that the Whip Cream circle wasn't so white I stamped the pine cones on Oatmeal Cookie card stock using Hazelnut Blend ink and the cranberries with Cranberry Bliss ink then detail cut. 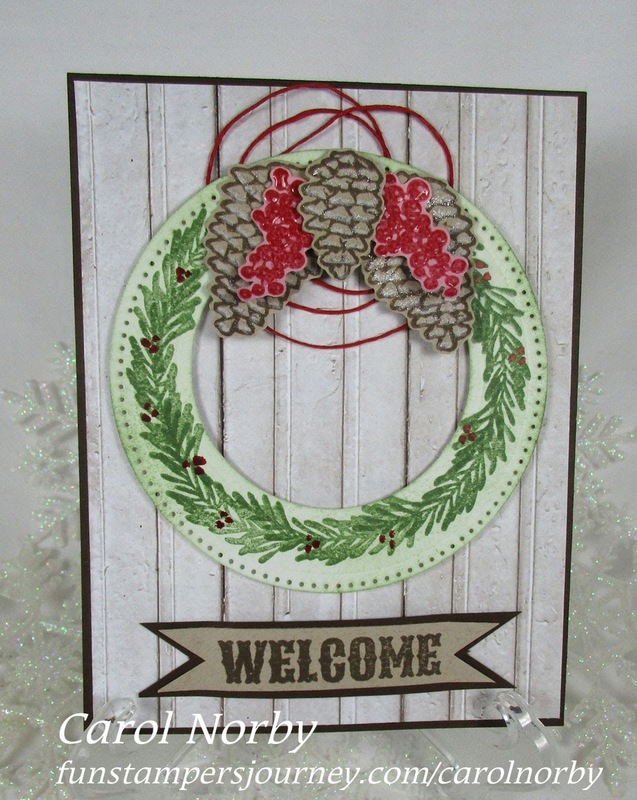 I layered the pine cones and berries over the wreath. Oh yeah, before layering I added some Journey Glaze to the berries and I colored a bit of white pencil from our Color Burst set then carefully added some Sparkle Silk over that on the pine cones. I just put some of the Silk on a block then picked up with a Blender Brush to have more control in coloring with it. When all was dry then I used our Foam Squares and Easy Glide Runner to start assembling my pieces. I added some Candy Apple Twine behind the wreath and some dots of Cranberry Bliss Silk (using the Blender Brush) to the wreath. The base of the card is Hazelnut Blend card stock and the cool wood grain looking pattern paper is from our Designers Choice pack. 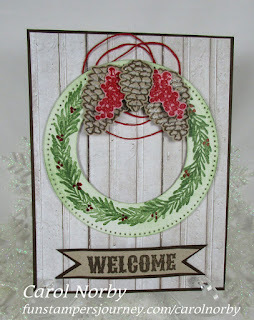 I stamped the Welcome using Hazelnut Blend ink on a piece of Oatmeal Cookie card stock, cut into a banner, then layered it on Hazelnut Blend and adhered with the ends using glue dots and the center using foam squares. All die cutting was done on the Amaze machine. This card reminds me of a wreath on a front door. I love how it turned out yet I really didn't know what I was going to do until I finished making the wreath! Funny how things just come together! From here please head over to Rose's Blog. Me - you are here! 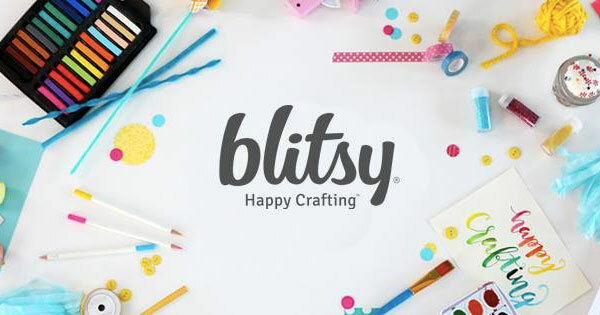 Since I gave you the list of supplies and links with my projects I will not list them here but if there is anything else you'd like to check out please head to my WEBSITE. There's so much available and our ink pads are on sale at 20% off until the end of the month. Great deal to round out your colors! 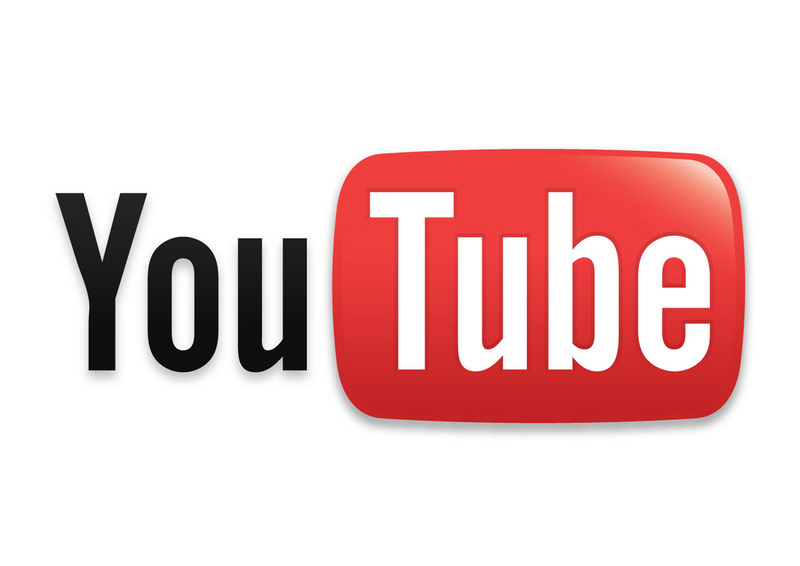 If you leave a comment, and you know I'd LOVE to hear from you. Please remember that all comments are moderated and I will be gone until late afternoon so until then your comments will NOT show up. I hope you get lots of inspiration!! Happy hopping! And Merry Christmas! 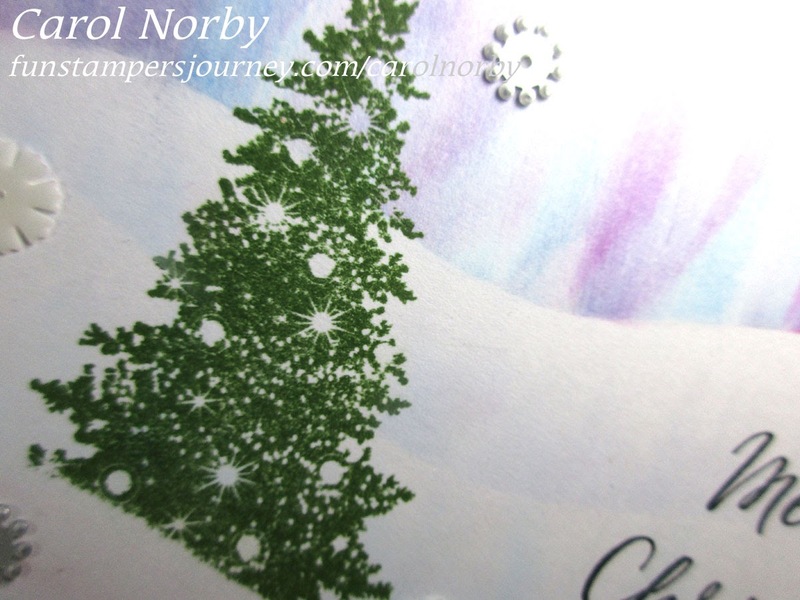 Carol, I love your cards, the background sky on the Merry Christmas card is beautiful. Definitely need to look into the designer paper pack now because I love that background look on your Welcome card. Thanks for hopping! I love your cards! 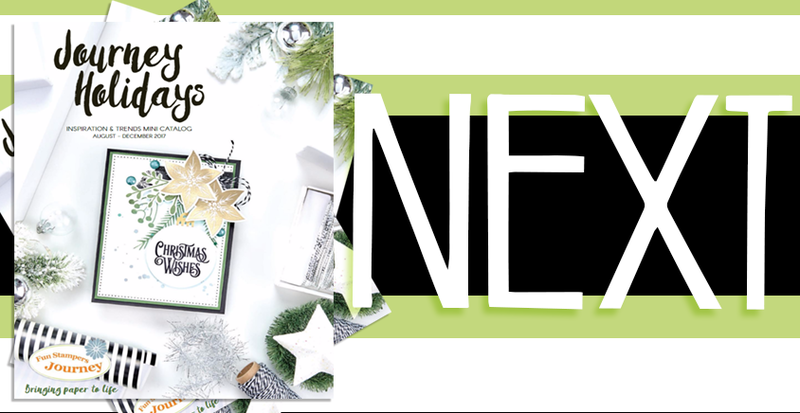 The use of the masking technique to create the snow background is great. Thank you for sharing. Love your Northern Lights technique with the PanPastels. Wonderful cards!